It’s almost our favourite time of year again: stood in a field, downing a crate of fruit cider while radio appropriate bands belt out the classics that you, and everyone else in the vicinity, knows word for word. If you’re lucky you’ll be basking in the sun, perhaps somewhere abroad, rather than feeling sodden with your left welly stuck in the mud half a mile away from the main stage (yes, it happens!). Obsessed with Stormzy or just wanna chill with Frank Ocean; feeling Little Dragon or into Chaka Khan, this season there’s something for everyone – and we’ve selected the best. Scroll below for the first of three mini guides to where you’ll find the Wonderland team this summer. Why: Spanning across Brighton, The Great Escape offers up the opportunity to explore new musical talent on the brink of breaking into the mainstream. Catch the best of the next at some of the city’s best venues in what is undeniably one of the UK’s dreamiest seaside locations. This year, expect to see performances from Avelino, Sturla Atlas and The Amazons. Why: With a stellar line-up including the likes of Little Dragon, Kano, Mura Masa and NAO, Bristol’s Love Saves The Day is destined to be major. Channeling the city’s artistic flare, the festival regularly features a multitude of magnificant insta-worthy sights, whether it’s giant robots or brilliant bold ball pits with a rainbow of streamers. Why: For a one-off Saturday (and for its 11th year), stars align and descend upon Victoria Park as an afternoon of mega beats and musical magic take the form of Field Day. 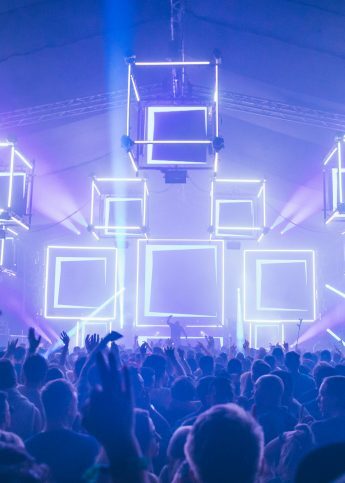 This year the festival will launch a new indoor stage named ‘The Barn’, in which you can expect the throwing of some serious shapes soundtracked by the likes of Aphex Twin, Jon Hopkins and Nicolas Jaar. Why: Get down and dirty (literally) with David Guetta or fun and funky with Rod Stewart (yes, seriously!) at this year’s Isle of Wight festival. With undeniably one of the most eclectic festival line-ups this summer, IOW promises to be major. 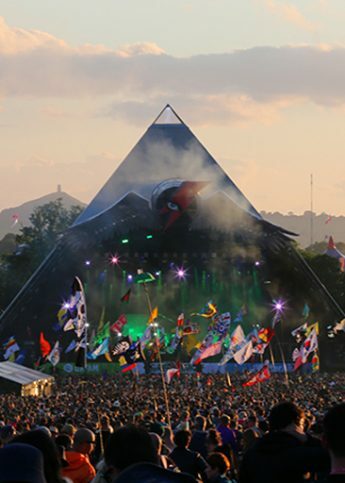 Other performances come from indie royalty Arcade Fire (a UK summer festival exclusive), Run DMC and George Ezra. Why: Curated by Disclosure and Rudimental in 2015, it’s understandable why, despite being in its infant years, Wildlife consistently attracts big names and successfully competes with all our other fave festivals. 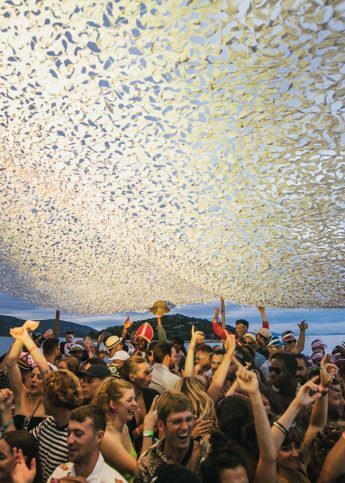 This year is no exception, with the likes of Fatboy Slim, Stromzy and Dizzee Rascal heading up the bill. Why: If you haven’t been to Manchester’s Parklife yet, make sure you prepare yourself – it’s absolute madness and certain to leave you in a blur come Monday morning. Heading up the bill this year is our fave sad-boy bae, the ever-elusive Frank Ocean and Wonderland cover angels The 1975, with additional major appearances from the sensational Stormzy, London Grammar and yes, even Chaka Khan – naturally we’re obsessed. Why: Following last year’s session curated by Guy Garvey, Southbank Centre this year will see Wonderland cover babe M.I.A. curate the 2017 Meltdown Festival, tapping a strong selection of her fave artists including Princess Nokia, Mykki Blanco and Giggs. The queen of political activism herself will also take to the stage to round-off the festival, with a show on 18th June. Why: Headed up by Major Lazer, who will appear at one of the festivals SIX open air stages, Croatia’s Hideout festival is certain to be a big one. If you haven’t seen Major Lazer live before – you can expect T-shirt guns, huge streamers, sensual dancers and a set-list which includes banger after banger. Elsewhere at Hideout, you’ll find huge sets from Stormzy (he’s pretty much everywhere this summer, right? ), Skream, Shy FX and… Mike Skinner.